It is a common misconception that a high-quality and good looking individual image of your product is all that matters when it comes to the shopper’s experience. In order for potential customers to become actual clients, that is only partially true. If you want to convert people, you need to provide them with consistent-looking imagery and videos of all your products on your webstore. In the past decade we at StyleShoots have worked alongside hundreds of fashion e-tailers and we’ve supplied them with the right equipment for imagery collection. We’ve learned a lot from that. One of the many things we discovered is that no matter how great your product images or videos are, if they’re shot or recorded using different light setups, camera positioning or even camera movement, it will hinder people’s perception of your brand. It will bring down the visual power your total grid of products can have. According to e-Business Institute, conversion rates for sales for product pages on e-commerce sites rise and fall dramatically depending on the level of thought and complexity put into the visuals used. That makes consistency the main factor. Customers typically leave purchase mode when looking at a disorganized grid of products. Over the past decade we’ve been experimenting with this when we did A/B testing with some clients and the results were staggering. Consistency in their visual content always proved to be the winning strategy towards increasing sales. Keep in mind that even just the tiniest difference in image capturing will definitely lead to a total difference in the perception of you as a vendor. Things like color accuracy and angle shots should be the same for each product you have on your webshop. 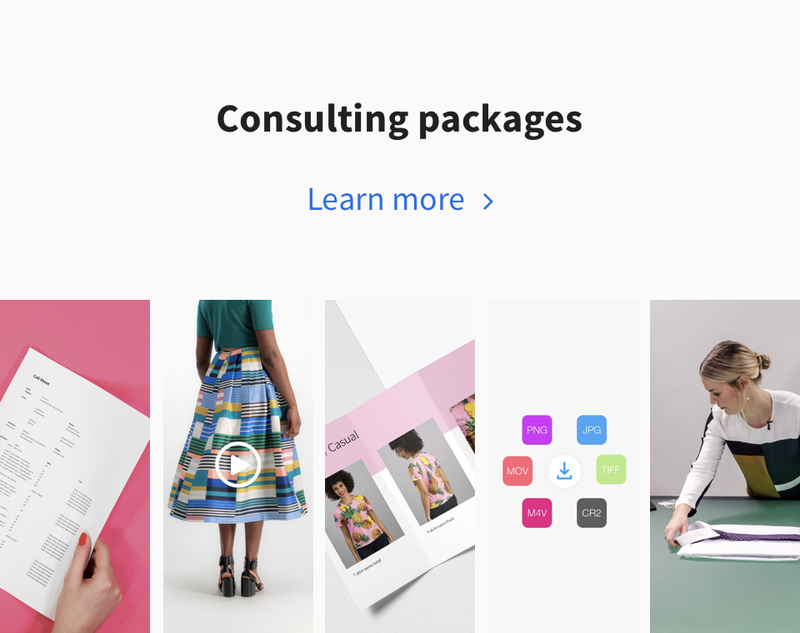 Mixing different styles and not remaining consistent with elements like lighting, positioning and camera angles will not create an appealing webshop. Even if your individual images are masterpieces all on their own, lack of consistency between all product images will destroy your webshop. The ultimate goal of a lot of fashion retailers nowadays is to bring and direct more visitors to their e-commerce websites and turn them into paying customers. To achieve that, they must be able to offer an impeccable website journey and experience. This can be tricky because at the same time, you are not able to influence your shopper’s searching behavior. A person browsing your webshop might be looking for red tops in combination with blue jeans today and tomorrow they’re hunting for fancy dresses and cocktail wear. 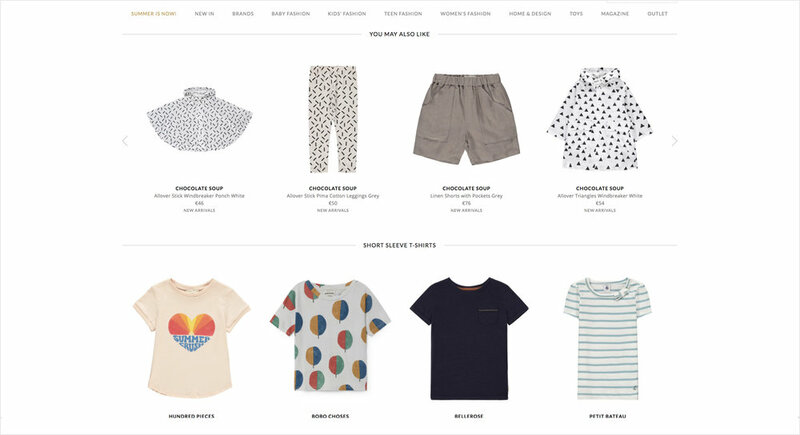 In order to not confuse the shopper, the result of her or his query must look organized and well styled according to your own brand image, with the highest degree of consistency. You must avoid at all times the trap of distracting the customer by making it difficult for them to find what he or she is looking for. The brain shouldn’t be occupied with trying to find the difference between product images because of slight difference in focal point, light or camera height. The brain should be activated to shop because everything is so simple and consistent. Putting your visitors in buying mode by removing all barriers is what will sell your products in the end. This is also how consistency in your visual content becomes a major revenue booster. Over the past 10 years we have tested and experienced the results of companies who do not take their imagery for granted. What we observed are staggering results with some real growth potential that immediately influenced each brand positively. Just to give you an idea: Some of our clients who began to create the majority of their visual content with our machines experienced increase in sales by 24%. Going a step further, a part of that success recipe is the fact that with our equipment they managed to streamline their content creation processes without compromising quality. Make it easy for your shoppers to decide. Don’t make them “think”, rather feed the customer journey. We’ve realized that’s one of the big factors that makes some brands extremely successful while other suffer due to ignoring basic truths like the fact that quality content and consistency sells. That’s why we at StyleShoots have made it a priority to bring value and results to every single client of ours with the machines we sell. We use the same light source in every machine, our software offers the option for customizable and fixed presets, they’re also equipped with top-tier cameras that guarantee remarkable quality and the ability to process everything and prepare your content for the web within minutes. The result? Better and improved top line revenue and loyal shoppers. Optimized workflows. Millions of high-quality images and videos uploaded annually to the web with StyleShoots machines. Hundreds of happy customers whose sales numbers skyrocketed. Consistency matters. All the way through the tiniest of details. We know. And we can also help you right away. Maurits has decades of experience in the fashion retail e-commerce industry. In the early 90's, he founded RunTime BV - a successful software company operating in the apparel market. He later founded Visual Retailing, a company that focuses on visual planning and merchandising technology to fashion brands and retailers. In 2012, Maurits co-founded StyleShoots and has attracted customers like Zalando, Marks & Spencer, Nike.